The electricity transmission network comprises approximately 5,500 kilometres of transmission lines and 150 substations. 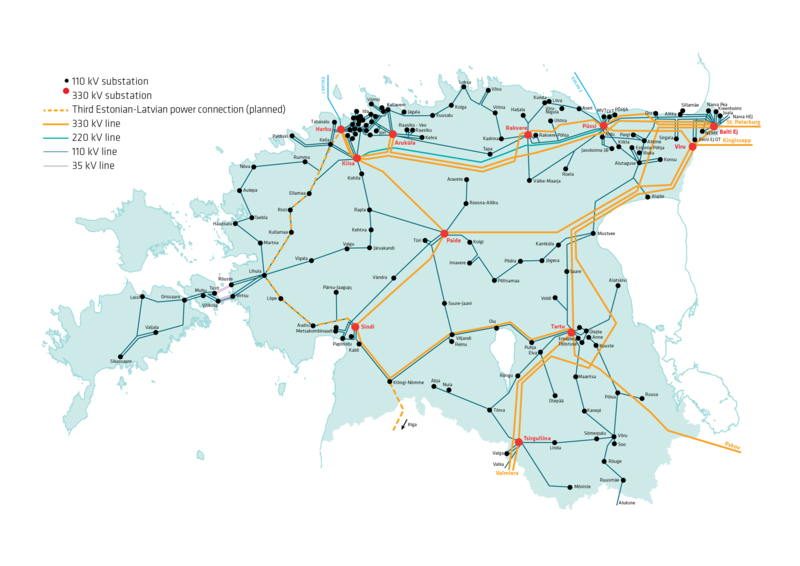 The Estonian electricity system is connected via cross-border DC power lines to Finland and via AC power lines to Latvia and Russia. See the description about Elering's power lines and information about the safety requirements and restrictions.